This gives you the same dialog you get via Project Properties > Libraries > Add Library > Create  (in case you want to repeat this exercise later, or are starting a JNLP project from scratch...). 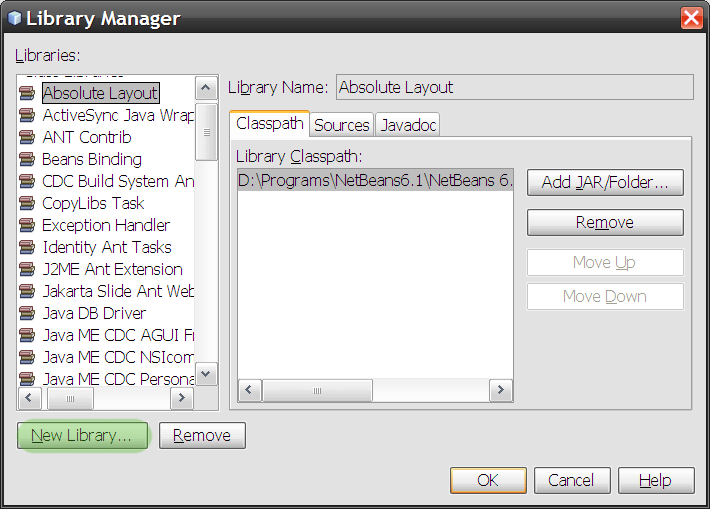 Give the new library the name that the Project wants ("JavaWebStart" in the case of SwingSet3). It'll be a Class Library. File:Fig 6. 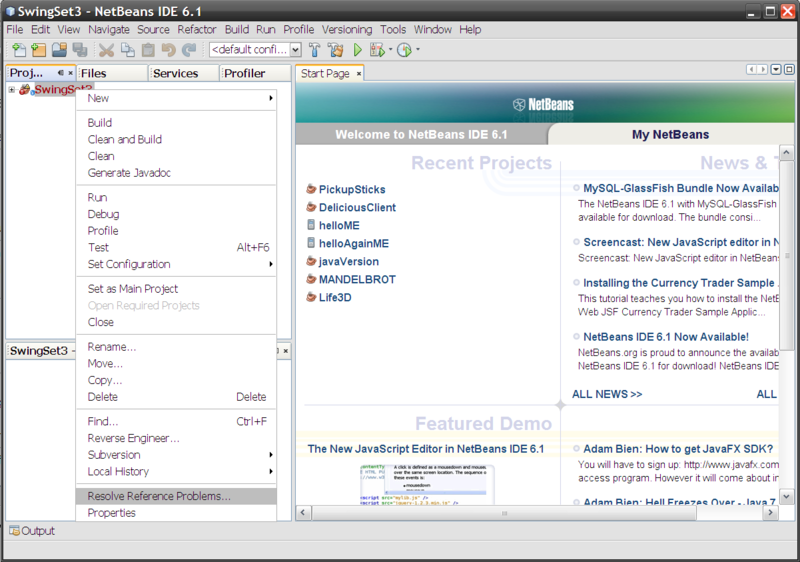 Resolved, click Close button. 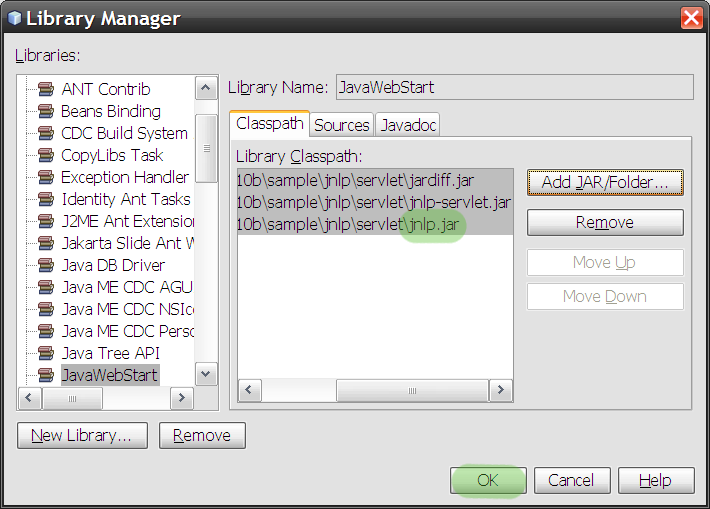 Development libraries for JNLP are not accessible by default, unlike other javax. * packages... so you'll need to go through this learning curve. 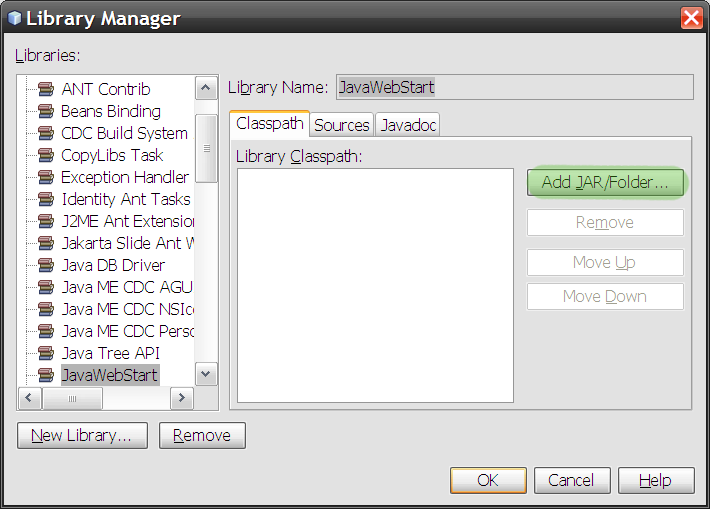 Chose "JavaWebStart" from the library list and press the "Add Library" button.